When testing a private repository, you may need to fetch private dependencies, like a private git submodule. A common approach to authorize a submodule is to use a private key with access to multiple repositories on GitHub. 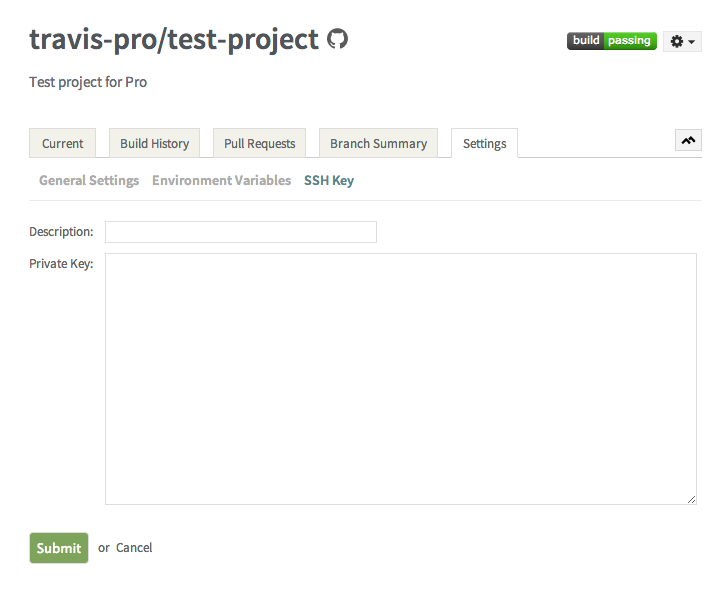 Until recently, the only way to set a custom SSH key was to put it in the .travis.yml file. However, there were security concerns attached to this approach. 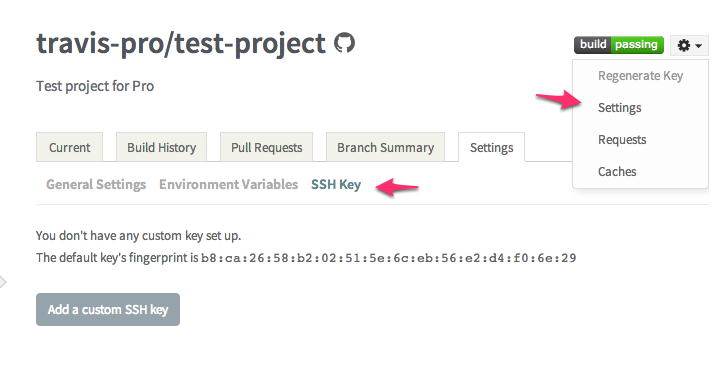 The SSH key added through the UI is securely stored in our DB in an encrypted form. To reduce any possible attack vector, we recommend using a user with as little access as possible to only the repositories used as dependencies. We hope that you will find the new UI addition useful. If there’s anything else you would like to know about this specific way of dealing with dependencies or find out what are the alternatives, we created a documentation page on the subject: Private dependencies.